ROSELLE, N.J. — John Calipari has made a habit of landing New Jersey’s elite players in recent years. From Michael Kidd-Gilchrist to Karl-Anthony Towns to Isaiah Briscoe to Nick Richards to Kahlil Whitney, Calipari has dominated recruiting in the Garden State. 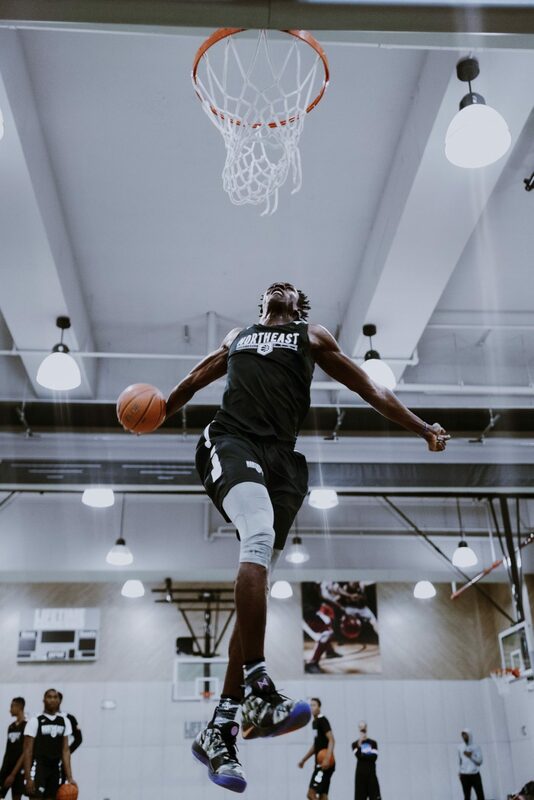 On Friday, Calipari extended an offer to Cliff Omoruyi, the 6-foot-11, 237-pound junior big man from Roselle (N.J.) Catholic, a high-motor dunking machine who is still developing his face-up game. A native of Nigeria who has only been playing organized basketball for a few years, he has drawn comparisons to Clint Capela and Mitchell Robinson. Omoruyi was the most dominant big man in New Jersey this season. He and Whitney helped lead the Lions to the Non-Public B state title game, where they fell to Bryan Antoine, Scottie Lewis and Ranney. Calipari visited with both Whitney (who plans to sign May 3 in Chicago) and Omoruyi while at the New Jersey Coaches Clinic at Roselle Catholic. Omoruyi also met with Pittsburgh coach Jeff Capel and Auburn coach Bruce Pearl at the event. UConn’s Dan Hurley attended and will be back to see him next week during an open run at RC. Omoruyi has visited UConn several times already. All three schools have already offered. Omoruyi wants to commit on his birthday, Oct. 11, but that he may have to wait until the spring of 2020 to understand all his options.